A man was driving down a quiet country lane when out into the road strayed a rooster. The rooster disappeared under the car. Shaken, the man pulled over at the farmhouse, rang the door bell. The man, somewhat nervously said, "I think I killed your rooster, please allow me to replace him." 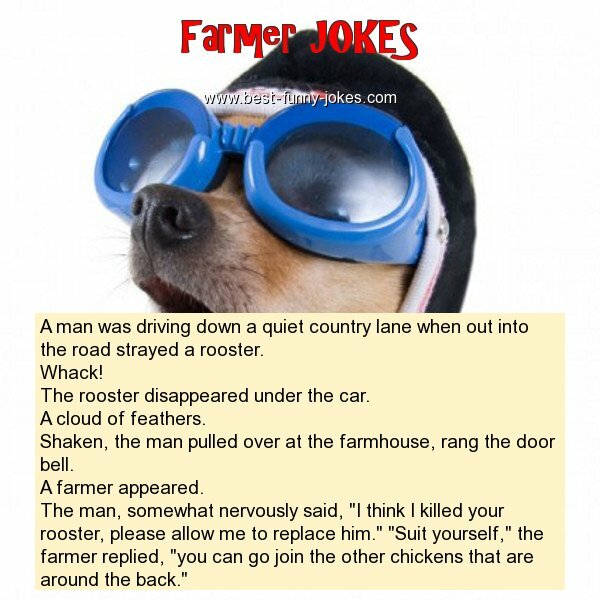 "Suit yourself," the farmer replied, "you can go join the other chickens that are around the back."